Media outlets include newspapers, magazines, radio, television, and the Internet. Journalists are looking for stories that attract a significant audience or readership. By developing a set of guidelines, they can determine what makes news. So, they apply news values to decide which stories to publish. They retain the most newsworthy ones and filter out information that is of little interest to their audience. News values are central to this process because they identify the factors that will engage attention. Each news value describes a different factor. Before we continue to explore these news values, let’s look at some simple definitions of news. News must be accurate, truthful and fair. Over the years, many leading journalists have offered some useful definitions. If a dog bites a man, that’s not news. But if a man bites a dog, that is news. However, selecting news stories is a more complex and rigorous process than these concise definitions suggest. Do journalists prefer bad news stories? Information arrives in the newsroom minute by minute. It comes from a wide range of sources by way of press releases, phone calls, social media, meetings, research and so on. However, a newspaper has only so many column inches to report the day’s events. A news broadcaster has only so many minutes. Limited by time and space, a news editor cannot report all this material. So, they must be selective, filter out information that is not newsworthy and retain the stories that most interest their audience. Those responsible for deciding the news agenda are called “gatekeepers”. They are usually the newspaper or broadcast station’s owner, the editor or senior journalists. A newspaper’s news agenda will reflect the style, ethos and ideology of the newspaper. Organisations, companies and prominent individuals need to know which stories to pitch to editors. So, they too must understand the news values that make a good story. A knowledge of news values also helps public relations professionals to maximise media coverage of their events. As a result, they can be more effective in boosting their clients’ profile. Journalists are always on the look out for stories that are in the public interest. Their understanding of news values enables them to select suitable stories. But can they be sure their audience shares the same criteria? The news process is a two-way transaction, involving both the journalist and their audience. Newspaper circulation figures and media viewing ratings reveal the most popular stories. Consumers also reveal the kind of the news that interests them most when they choose their broadcast channel or their newspaper. However, this is a rough and ready measure. Little work has been done to define equivalent factors or news values that determine audience perception of news. This is largely because it would appear impossible to define common factors that generate interest in a mass audience. The research that has been undertaken so far concentrates on what the journalist perceives as news. However, the boundary between journalist and audience is rapidly blurring with the growth of citizen journalism and interactive media. Immediate feedback enables the journalist to have a better understanding of what their audience is looking for in a news story. A broadly agreed set of criteria or news values enables journalists to spot a newsworthy story. They provide journalists with a useful tool to quickly sort, process and select news from a vast amount of available information. Rather than ticking off a checklist of criteria, seasoned journalists tend to judge newsworthiness on the basis of their experience and intuition. Even so, whichever approach they take the same news values underlie their choice. Indeed, journalists from across a range of print, broadcast, and online news organisations apply similar news values worldwide. Over the years, scholars and journalists alike have drawn up revised lists of appropriate news values. Such lists are endless. Some aim to describe news practices across many different cultures. Others are specific to one nation or place. Nonetheless, they all have their roots in one particular piece of academic research, Galtung and Ruge’s news values. In 1965, two media researchers set out to discover how “events” become news. Johan Galtung and Mari Holmboe Ruge framed a ground-breaking list of news values which identified newsworthy stories. They focused their research on newspaper reports of the Congo, Cyprus and Cuba crises. By analysing reports in the Norwegian press, they spotted which values placed an event at the top of the news agenda. Altogether, they looked at 1,262 press cuttings – including news items, features, editorials and readers’ letters. They drew up a list of twelve values, which seemed to be “particularly important” in selecting news. Thus, by devising a scoring system, they could rank the reports in order of their newsworthiness. Events with a high score on one or more news values were most likely to be prominent. Each news value describes a characteristic of a newsworthy event. An event that satisfies one or more of these criteria is more likely to be reported. One which scores highly on these values is more likely to be the lead story. Rarely will a story exhibit all these news values. Their findings have had a major impact on understanding which news stories generate most attention. Today, most news organisations have evolved their own approach for setting a news agenda. However, journalists and editors still continue to draw heavily on this understanding of what the public expect. Almost all recent lists of news values refer to most of the criteria Galtung and Ruge identified. 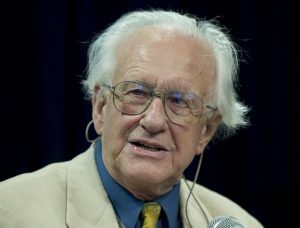 Galtung and Ruge’s work has had a major impact on the understanding of which news stories generate most attention. The scale or size of an event. An event must exceed a threshold before being recorded. Beyond that threshold, the more people a story affects, or the more money or resources it involves, the bigger its impact. The greater its intensity and the more extreme its effect, the more likely it is news. For instance, the more gruesome the murder or the more casualties in an accident, the better its chances of hitting the news-stands. Events that suddenly occur are most newsworthy. For instance, motorway pile-ups, murders and plane crashes. This is because they fit well with a news producer’s schedule. Events which unfold gradually, or at inconvenient times, are less likely to be reported. Long-term trends are also unlikely to receive much coverage. Bad news is more exciting than good news. Stories about death, tragedy and bankruptcy always rate higher than positive ones such as royal engagements or celebrations. So do stories about violence, damage, natural disasters, political upheaval or simply extreme weather conditions. These stories may also score higher on other news values, particularly threshold, unexpectedness, unambiguity and meaningfulness. Journalists are likely to select an event that is out of the ordinary rather than an everyday occurrence. As the New York Tribune and Sun editor, Charles A Dana. famously put it, “If a dog bites a man, that’s not news. But if a man bites a dog, that is news”. Events that are easy to grasp are more likely to become news. The more clearly an event can be understood, the greater its news value. Stories with a complex background and depend on specialist knowledge tend to be ignored. People are interested in people. News stories presented from a human-interest angle and centre on a particular person are more likely to be newsworthy. News tends to present events as the actions of named people rather than the result of social forces. Any well-attended marathon will attract news coverage. But the story of someone with a disability completing a marathon will attract even more interest. This relates to cultural proximity, the extent to which the audience identifies with the topic. Stories about people who speak the same language, look the same, and share the same concerns as the audience receive more coverage than those involving people who do not. For instance, news from the United States, which shares the same language and similar values, is seen as more relevant to the United Kingdom. Stories concerned with global powers receive more attention than those dealing with less influential nations. Those nations which are culturally closest to our own will also receive preferential coverage. What constitutes an elite nation may vary from country to country. However, there may be more widespread agreement about which nations are most able to exert their influence on a global scale. For instance, America and China. Stories about important people get more coverage. The media pay attention to the rich, powerful, famous and infamous. Editors prefer people whose deeds are seen as having more influence on their audience rather than others. Hence, the American President gets better coverage in a national newspaper. Your local councillor is more likely to hit the headlines in the local paper. Stories which match the media’s expectations get more coverage than those which contradict them. Journalists are more likely to cover an event for which they are prepared. Indeed, they often have a preconceived idea of the angle to take even before they get there. This mental pre-image in turn increases its chance of becoming news. At first sight, this appears to negate the notion of unexpectedness. However, consonance refers to the media’s readiness to dispatch resources to an event which already promises to be newsworthy. A story which is already in the news gathers a kind of momentum. In other words, it is a running story. Once it has become headline news, it remains under the media spotlight for some time. This is partly because news teams are already in place to report the event. It may also be because previous reportage has made the story more accessible to the public. Editors seek to provide a balance of different types of coverage. This means stories must compete with one another for space. For instance, if there is an excess of newsworthy foreign news, some of these stories may be dropped to make way for less important domestic news. So, the prominence given to a story may depend on the news value both of itself and also competing stories. This becomes a matter for the editors’ judgement. How suitable are these news values for today’s journalism? On the whole this analysis has stood the test of time. However, its fails to fully take account of the broader pragmatic reasons why certain news stories are not reported. One example was the mass Burmese demonstration in 1988 which received little media attention. Overseas journalists could not get into the country, because the hostile regime of General Ne Win had barred them. By contrast, the mass demonstration in 2007 received far more attention because civilians themselves had the technology. Armed with modern mobile phones and camcorders, they were able to send instant messages and pictures out of the country to a waiting international media such as Reuters, BBC and CNN. Galtung and Ruge focus on the event rather than the journalist. In so doing, their news values fail to account for those factors which can be attributed only to the journalist, and not the story itself. At a personal level, practical everyday factors can also influence which story a journalist selects. For instance, what are his interests? What are his time constraints? Much of what appears in the news can depend on a journalist’s determination to get the full story. An easy way out would be to run a story straight from a press release, and say no more. However, the professional journalist will go the extra mile, check out their facts and relate the full story from their own research. Given these changes and the recent rapid rise of digital technology in 2016 Harcup and O’Neill further updated their own study . Most lists of news values include negativity. However, some journalists deny they select a story simply because it is negative. Rather their choice depends on other news values. News stories can be bad for some and good for others. A defeat for the Republicans in the USA, or the Conservative Party in the UK, will be good news for Democrats, or the Labour Party. Likewise a sports match result is either good or bad news depending on which team you support. Interest is the overriding factor in deciding newsworthiness. The more news values a story satisfies, the more likely it is to be newsworthy. Editors have a particular target audience in mind. Each news organisation has its own system of setting its news agenda. Journalists have their own distinctive understanding of their circulation or broadcast area. They draw heavily on their own experience of what their audience expects and which stories have had the greatest impact on public consciousness in the past. 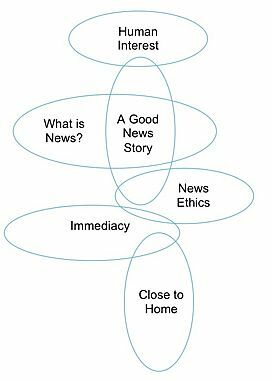 Galtung and Ruge’s twelve news values attempted to explain how journalists select their news stories. Most newsworthy stories will contain some new values, but it is unlikely to contain all. News values have remained much the same over many decades. However, successive writers have adapted their analysis to provide a simpler and more up-to-date set of criteria. These revised news values give today’s journalists an easy check list from which they can identify newsworthy information. News values also help public relations (PR) specialists to persuade news editors to publish their story. Everyday issues such as health, welfare, transport or national security have a big impact and generate much public interest. News gets out of date quickly. If it happened recently, it is timely. What is regarded as “recent” depends upon the publication cycle of the news medium itself. On a television news channel events that happened during the past half hour are timely. In the monthly parish magazine events that took place over the past 30 days are timely. An unfolding story has a strong news value on social media or 24 hour news channels. The audience become involved because they witness the event as it happens. Well-known people (politicians, celebrities, actors, musicians, athletes) can make the news even when their actions are trivial. Because of their media prominence, people feel a personal connection with them. 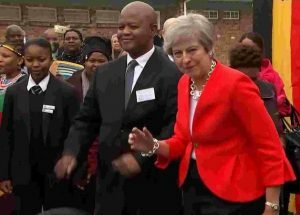 When British Prime Minister Theresa May visited South Africa in 2018, she was filmed dancing with schoolchildren. Her bold but awkward attempt went viral on social media. If you or I tried a similar feat, no one would take much interest. That’s because we are not well-known. Famous places and companies also attract interest. Events occurring in the newspaper circulation or broadcast area are more likely to be newsworthy. The UK press will almost certainly ignore 2,000 job losses in Taiwan. However, a mere 20 redundancies in Cambridge may well feature on the front page of the local newspaper. A newsworthy story can be close to home either geographically or psychologically. Six people killed in an air-crash in Australia on New Year’s Eve 2017 was hardly world news. However, a prominent British businessman, Richard Cousins, and his family of four were among the victims in the seaplane. It was front page news in the UK. Conflict and disagreement add excitement to a story. News about people or organisations at odds with each other arouse curiosity. People want to know what lies behind the conflict. The story could be about banal events such as the falling-out of two celebrities. Or it could be about more serious issues, such as a labour dispute. Conflict adds drama. Drama generates interest. Something out of the ordinary has more news value than an everyday event. For example, on a sunny August day in 2018, shoppers were astonished to find that Tesco in Cambridge had erected a Christmas tree, complete with twinkling lights. 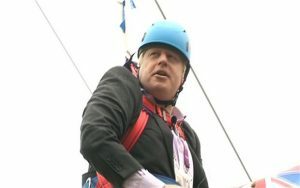 In the summer of 2012, the Mayor of London, Boris Johnson, was left dangling in mid-air. He was riding a zip wire to publicise the London 2012 Olympics when it became stuck. The unexpected, strange or wacky story deviates sharply from what you would expect. The unusual entertains. Currency implies that the time for a topic has arrived. This includes events which are already popular or trends which are currently in the news and being talked about. For instance, the growing public awareness of plastic pollution has opened the door to new ideas for recycling plastic. 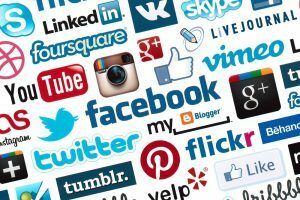 The arrival of social media has created whole new platforms on which topics can be talked about and widely shared. So, trending is a useful indicator of the currency value of a story. When a word or phrase has been used multiple times on, for example, Twitter, it becomes a ‘trending topic’. Such topics often emerge after a major event. The UK referendum decision to leave the European Union sparked hotly debated arguments for and against the move. On a more mundane level, the UK heatwave in 2018 generated much debate and many subsequent weather stories. Latest fads and anniversaries, especially items that were news in the past, also fall into this category. As the old year ends, the talk is all about presents and New Year’s resolutions. Six weeks later in February the flavour of the month switches to flowers and romance. People are interested in people. Certain events stir our emotions. A baby rescued from the rubble after an earthquake, a dying child receiving a donated organ and families reuniting after fifty years, all make good stories. In 2015, some of the heaviest rainfall this century fell in the southern Indian state of Tamil Nadu. Pictures of strangers forming a human chain to save a drowning man in the flood water went worldwide. People’s everyday concerns also strike a chord, for instance stories about food, health and housing. Information about schools, work and money also grab public attention. When newspapers were the only source of news, competition was less fierce. But gone now are the days of typewriters, newspaper clippings and messages left at hotel reception desks. Today, information travels around the world at a much faster speed. Digital technology, wireless connectivity, and text messaging have arrived. Within the past few decades, the production of news has changed faster than any large-scale global industry. The public pay scant attention to second-hand or stale stories. Eager to be first with a story, today’s journalists can cut the gap between receiving information and publishing the story. Deadlines are crucial in the hard-nosed business of modern news production. The new technology has dramatically altered the collection, assembly and dissemination of news. Easy access to a wide range of sources through mobile phones, email and social media has made greater collaboration possible. The actual process of news gathering and reporting has benefited considerably from technology. Yet over the same period, what is written remains much the same. People still seek accurate and reliable journalism. And they still want interesting stories. The basic news values that determine how much prominence to give to a story have changed very little. Giving audiences the news they want will continue to be an important goal for media outlets seeking to improve their market share. News organisations must be more open to audience input and feedback, and this could force them to adapt still further. In the long run, the continuing effects of new technology, combined with other social changes, may in time radically influence an audience’s preference for certain kinds of news story. The arrival of cinema newsreels in 1910 brought moving pictures of important news events to the public. The first silent British newsreel on the scene was Pathe’s Animated Gazette. 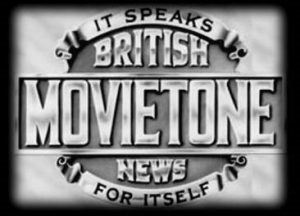 Newsreels began to switch to sound in 1929 with the first appearance of British Movietone News. However, this did little to change the unhurried deadlines adopted in the national newspapers. The approach to news reporting was to avoid controversy and maintain the status quo. Cine magazines, such as British Movietone News and Pathe Pictorial, were shown in cinemas until 1970. They were produced at a leisurely pace. Each newsreel contained about five top stories which could take up to about a week to prepare. Timeliness was not a priority. There was time to write carefully crafted, accurate scripts. The arrival of radio, and then television, hastened the pace of news gathering. In the United Kingdom, the BBC, founded in 1922, began to broadcast sound. The new medium of radio had the potential to transmit news quicker and more frequently than the daily newspaper. During World War II, a growing number of people relied on their ‘’wireless’’, rather than their daily paper, for regular updates on the progress of the war. Before long, radio news bulletins began to include interviews and ‘’actuality’’. Sound bites and background noise were recorded live and inserted into a report. This enabled listeners to hear events for themselves and added authenticity to the reporter’s words. 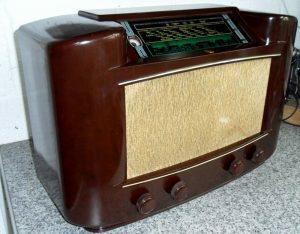 The BBC launched Radio 1 and Radio 2 in 1967. The first three local radio stations opened in the same year. 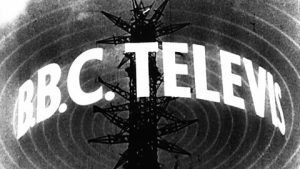 Leicester, Sheffield and Merseyside began broadcasting in November that year. This opened the way for news bulletins on the hour, every hour, to provide regular updates on world, national, regional and local news events. This new-found immediacy and the use of actuality began to influence the news values for radio news. For instance, stories which contain dramatic actuality have greater news value than those which don’t. Drama becomes an overriding news value in radio news. But, a dramatic lead story on radio is not necessarily suitable for the written words on the front page of a newspaper. For instance, radio can convey the feeling of an angry exchange between two politicians much better than a newspaper can. Television can transmit moving pictures of news events directly into viewers’ homes. The pictures enable viewers to observe the story for themselves. Thus good pictures are essential for television news. Television differs from radio and the press. It has other considerations when selecting news stories. For instance, a story with dramatic or eye-catching pictures is more likely to be chosen than one without. After the second World War, the BBC resumed its television broadcasts from Alexandra Palace in 1946. The new medium soon became increasingly popular. At first, television adopted a similar format from the cinemas. The newsreader voiced his commentary out-of-vision over film. But soon news bulletins, in which the newsreader appeared in vision to introduce film and interviews, replaced this. Later, the BBC introduced the “news flash” to make their reporting more timely. A short announcement enabled them to interrupt programme schedules briefly to give news of an important event that had just happened. Thus they could further reduce the time gap between the news broadcast and the event itself. The next logical development was rolling news, TV channels broadcasting news 24 hours a day. Cable News Network (CNN) introduced this in the United States in 1980. 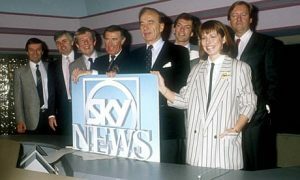 Nine years later Sky News soon gained a reputation for timeliness and innovation when it started broadcasting a 24-hour news service via satellite in the UK, around Europe and now worldwide. The BBC became the first competitor to Sky News when it launched BBCNews 24 (now the BBC News Channel) in 1997 as part of the its strategy to develop digital domestic television channels. In the past, programme interruptions were restricted to extremely urgent news. Such breaks are now commonplace on 24-hour news channels. The term ‘’breaking news’’ has come to replace the older term ‘’news flash’’. With a growing number of channels competing for similar audiences, timeliness is crucial in today’s television news production. If you have been asked to take part in an interview, you may like to look at my advice for handing radio and television interviews. Advances in information technology have revolutionised news broadcasting. They have made possible a level of timeliness unimagined only a few decades ago. Consumers are viewing more of the news they want and getting information faster. People can email their opinions and indicate which news stories interest them most. 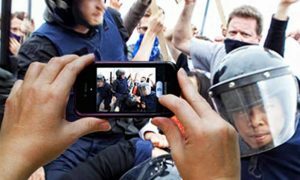 The public can text information or send pictures and video clips of events direct to a newsroom on their mobile phones. Often citizen journalists are already at the scene of an event. So they can report news stories long before professional journalists and camera operators get there. However, the race for tighter deadlines has its problems too. The growing number of contributions from amateurs increases the risk of error. Increasingly TV and radio journalists are reporting the here and now. 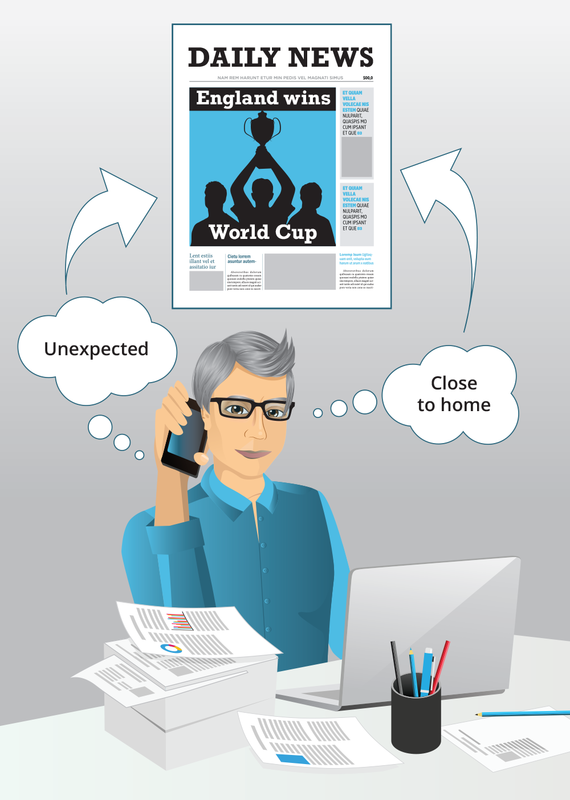 With less time and opportunity to give background information, reporters tend to describe unfolding events in much the same way as a sports commentator reports a live match. News organisations must maintain their share in a rapidly evolving market. As they do so, they may find themselves under pressure to search out alternative news values that will attract and keep their audience. The growth of social media is fast changing the traditional distinction between news producers and their passive audience. Today anyone can contribute evidence crucial to a story which the official media may have missed. Social media are two-way streets. Users can access a variety of sources from which they can gather news and information. They also have a platform from which they can publish their own news stories directly to big audiences. This means they can bypass the large news organisations altogether. Access to news is no longer restricted to information selected by a journalistic elite who are working in one of the big institutions. People are free to decide for themselves what makes a story newsworthy. In future this may lead to a radical re-understanding of the role of the news industry. It may also lead to a re-defining of news values. .
How reliable is this ‘new’ journalism? A story which has caught the interest of the wider public may not be accurate. A professional journalist will check out the veracity and accuracy of a story before publishing. Because most citizen journalists have not had a comprehensive training, they may lack the skills to check out a story thoroughly. Citizen journalism may be less reliable. The manipulation of social media and the growth of “fake news” have been on the increase recently. This means journalists and the public alike must be alert and quick to spot made-up stories. Authors of fake news usually sensationalise their stories simply to whet the public appetite. Some news organisations use the term ‘News Values’ to describe an entirely different concept: the ethical standards expected of journalists in their work. These ground rules spell out good journalistic practice which can be applied to news production and encourage responsible journalism. These principles aim to improve the integrity of the journalist and the reliability of their story. 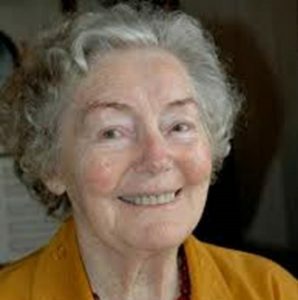 Find out more on my Ethics in journalism page.